Knowing how number is used is key to controlling exposure. Imaging in a radiology film environment is much like playing Goldilocks and the Three Bears. You take your image, hold it up to the viewbox and say: “This image is too light”; “This image is too dark”; or, “This image is just right!” If you underexpose your image, it will be too light, and if you overexpose the image, it will be too dark (See figure 1). The density and contrast of the image on film is controlled by the kV, mAs and other exposure factors. However, with digital imaging devices, brightness and contrast are no longer linked to exposure factors. Digital systems produce images with consistent density and contrast regardless of the exposure factors (See figure 2). 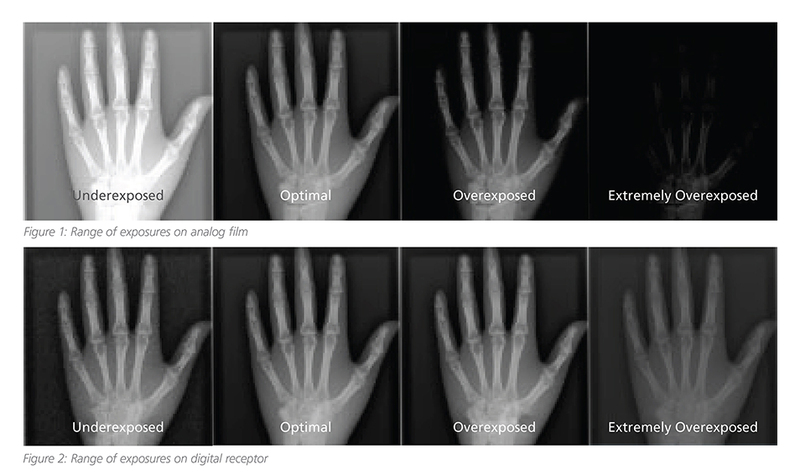 So how does a radiographer know if a digital image is over- or under-exposed? The potential for gross overexposure is one issue we encounter when a radiology department or clinic changes to a digital image receptor. The reason for this increased risk is that we’ve lost the visual connection between the exposure and an image’s appearance. That’s why it’s so important for the radiographer to understand how to read and utilize the exposure indicators. 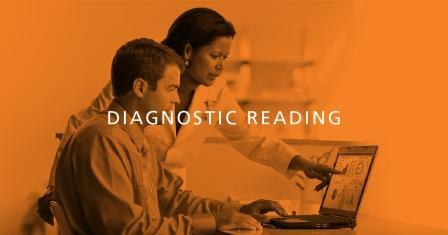 Read the related blog on Diagnostic Reference Levels. On digital imaging systems, an exposure indicator provides useful feedback to the radiographer about exposures delivered to the image receptor (ASRT, 2010). An over- or under-exposed image will deliver an incorrect exposure indicator; whereas a correct exposure will provide a corresponding exposure indicator. 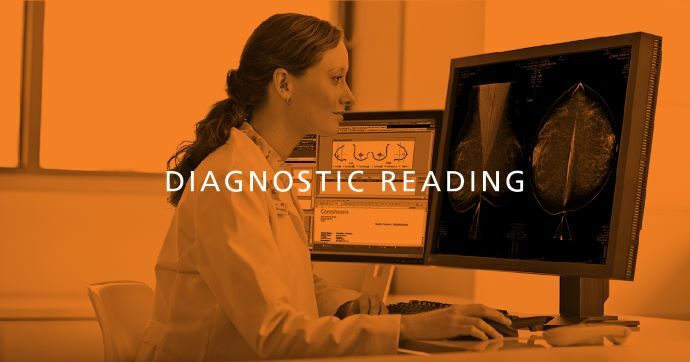 The indicator is a vendor-specific value that provides the radiographer with an indication of the accuracy of their exposure settings for a specific image (ASRT, 2010). The exposure indicator has as many different names as there are vendors in the market. The names include S-number, REG, IgM, ExI and Exposure Index. Carestream’s computed radiography (CR) and digital radiography (DR) systems both reference their exposure indicator as the exposure index or EI. After an exposure is made, the resulting image appears on the monitor and displays a number in the Exposure Index field. The number is a representation of the average pixel value for the image in a predefined Region of Interest (ROI). The exposure index allows the radiographer to match the exposure to the desired speed class of operation. The speed class is set in a given department by consulting with an interpreting radiologist. The radiologist’s feedback on sample images helps determine the level of image noise he or she can accept. It’s important to note that, as speed class increases, so does the amount of image noise. Once an acceptable noise level is established, a radiographer can identify the speed class of operation for the imaging system and the corresponding technique charts. It’s the responsibility of the radiographer to select a technique that provides enough exposure to reduce the amount of noise while also adhering to ALARA standards. The exposure index is indirectly proportional to the speed class of operation. If you’re using the Carestream Exposure Index values, for every 300-exposure-index increase, the speed class is reduced by half. In other words, if the exposure index increases from 1400 to 1700, the speed class is reduced from a 400-speed class to a 200-speed class. The Carestream EI is not necessarily unique to the receptor type. However, CR systems typically operate at a lower speed class than DR systems. Remember that each radiology imaging manufacturer has its own method of providing exposure indicators. This can be confusing to radiographers who have multiple vendors within their facility. Fortunately, there is a standard for exposure index for digital X-ray imaging systems. Developed concurrently by the International Electrotechnical Commission (IEC) and the American Association of Physicists in Medicine (AAPM), in cooperation with digital radiography system manufacturers, the index has been implemented as an international standard. It’s known as the IEC exposure index. Carestream systems are configurable for the user to display the Carestream EI, the IEC EI, or both. The IEC exposure index is unique to the receptor type being used and to the exam performed. Three default Target Exposure Index (TEI) values are preloaded into the system. The three values represent the default Target EI for bucky, non-bucky and pediatric exams. repeated. If the deviation is greater than +3, the exposure index displays in red to indicate a high/low exposure that might need further review. The DI chart below outlines how to use the deviation index. In the example above, the DI was calculated as 1.06. In the chart you’ll see that a DI of 1 means the resulting exposure was ~26% higher than the Target EI. The initial DI was 1.06, so we can estimate that we are slightly higher, perhaps closer to 30%. Although it might be a good image, it is merely an indicator to the radiographer that he/she might be able to reduce the exposure factors the next time a particular exam is performed- reducing the dose to the patient while still acquiring an acceptable image. I am a veterinary surgeon (Southest poin of continental Greece , KALAMATA) , not specialist in radiography. I use a kodak POC 140. How i can find the carestream exposure index (for small animals) and how i can use it , to develop the x-rays <>. Hello, here is our local representative in Greece who should be able to help you. Hello, I emailed you a document that should answer your questions. Thank you for reading Everything Rad! Could you please send me this information for as well? I would like to know the EI for each section of the body. Hello, I sent them to your email address. Thank you for reading Everything Rad! Can u send me the value of exposure in your X-ray CR/digital radiography for each section on the body? Hello, I sent the attachment to your email address. Thank you for reading Everything Rad! I need an exposure list for the carestream/vieworks setup. They are in ranges of 300-500 from what I’ve seen. I’m not sure what optimal is for this system. Hello, I sent them to your email address. I hope they are useful to you. I am currently trying to implement the EI/DI at our radiology department. I have set a target EI for thorax images using a very life-like, anthropomorphic thorax phantom in collaboration with our radiologists. I now however would like to know how I can set target EIs for the other body parts/views. Can you help me with that? Hello Gijs, the procedure for creating target EIs is a function that is performed by a medical physicist. We suggest that you contact your physicist. He/she should be able to help you. Thank you for reading Everything Rad! Hello I’d like a reference EI for the carestream drx ascend model Toshiba E7252X how would I go about acquiring it? Hello Gabriel, the EI range is dependent upon the detector type (GOS or CsI) and not the system type (Evolution, Ascend, etc.). It is also dependent upon the speed class that you are using. I will send you via email a document that shows the EI ranges for each detector type and the speed classes. (I can’t include an attachment in this comments’ field.) Thank you for reading Everything Rad! Multiple exposure measures confuse radiologists and technologists. Exposure values may not be reported in. PACS 0xc0000185 , Just Cannot access data for analysis. I know, however, would like to know how I can set a target for the other body parts? Hello, I’m afraid I do not understand your reference to “multiple exposures measures” and how it relates to your Toshiba system. But I can provide these instructions for setting target values. I hope this is helpful. XII. Log out to exit as key operator. Hello Sir, I am currently pursuing Radiography in school and would like to know how to utilize the 15% rule of KVp and mAs to diffrent IR types ie. PPS,FPD and Film. Also Thankyou for explaining the need for SI values as well as DI values. Honestly, I now fully understand. Hello, in general, an increase of 15 percent in kV approximately doubles the exposure. This is true regardless of the receptor type, but the visual effects on the receptor type will be different. The 15% rule is used extensively when utilizing film. That is how you adjusted your density. Anything less than 15% and you would see no change in density on the film. As a student, I use to laugh every time a radiographer told me to “go up 2 kV”, because anything less than 15% has no physical change on density. In the CR/DR world where density is controlled electronically, you will see no physical change to the density on the image being displayed. However, what you will see is a change to your exposure index and the amount of noise in the image. If you are decreasing 15%, your density will remain the same, but the amount of noise in the image will increase and your EI will decrease and vice versa. I hope that answers your question and good luck with your radiography education! Thankyou so much, well explained! Hello, I need to ask our clinical application specialist for this. He is traveling abroad so it might be some time before I have an answer for you. We have a Carestream 7500 that was installed in mid ’09. I have noticed lately that the exposure indicators for a few exams are not in the 1500 – 1800 range that we were given as acceptable originally for our x-ray unit. For example: Tibia-Fibula – AP 1940, AP 2004, Lat 1981, Lat 2209 (images were a little dark). and select your location, you will find listings for Carestream support in your area. Or you might need to work with your medical physicist on this issue. I hope this is helpful. Thank you for reading Everything Rad. If overexposure, and index exposure high, why the image in komputer is blank/white, see in computer monitor (or light view) ? Hello, I kindly recommend that you visit this page https://www.carestream.com/en/us/medical/contact-us/world-wide-contacts Here you will find a local service contact in your area who can help you. I have just been given a Kodak Point of Care CR140 system after using DR for years. I am trying to find the EI numbers for various body parts. After reading the above article and the reference article “standard for exposure index ” it appears to me that these numbers must be given to me by my company’s medical physicist. Is this the case or can you provide me with a standard range for this system? Hello Walter, you are correct that this is usually provided by your medical physicist. In addition, I sent a document with EI values for our receptors to your gmail address. I hope this is useful to you. What are the EI recommendation for all body body parts for this machine? Thank you for your time! Hello Amanda, I sent the document with the information you requested to your gmail. Thank you for reading Everything Rad! What are the EI recommendation for all body body parts for this machine? Hello Chris, I sent the document to your email address. Thank you for reading the blog! Hi CareStream! Is there any way you could send me a copy of this information as well? Thank you so much! Hello Cori, I emailed them to your email address. Thank you for your interest!